Gemma Cleanslate of the BURN2 team has issued a reminder that there are still plots available for purchase at the upcoming BURN2 2013 event in October. 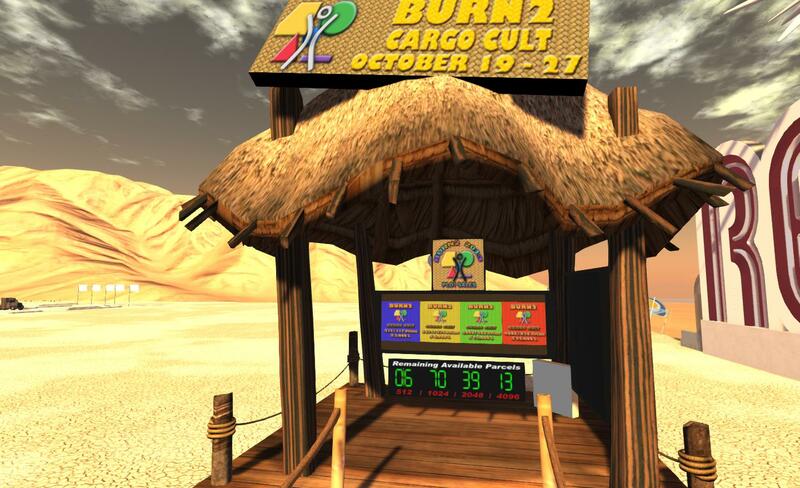 If you are interested in participating in this year’s BURN2, which runs from October 19th through to the 27th inclusive, and would like a plot, you can purchase one via the vendor system located in-world at the Burning Man Deep Hole region. Please note that Juried Camp applications have closed, and successful applicants will be announced on September 1st via the BURN2 website. The theme for this year’s event is Cargo Cult, in keeping with the theme of Burning Man itself.